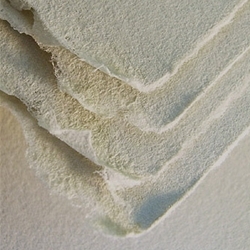 FineArtStore offers a nice selection of printmaking papers. We stock Arches Cover, Arches Text, Arches Johannot, Arches Moulin de Gue, Rives BFK, Rives Lightweight, Stonehenge, and Sommerset printing papers. We also carry several beautiful Japanese papers like Kinwashi, Masa, Gampi and of course lots of Cosmos Blotting paper.